The Lauren and Emily Failla Foundation was recently established to honor the lives of two very special young women who spent the majority of their lives in this community. Emily graduated from MHS in 2000, and Lauren graduated in 2003. They each had an enthusiasm for life, and their friends described them as having the biggest hearts imaginable. persons who possess integrity, kindness, and a desire to make the world a better place. Due to the generosity of online donors who contributed funds in honor of Emily and Lauren's birthdays, the LEFF is able to increase the size of the 2015 scholarship to $2,000. Thank you! Help us continue this yearly scholarship by donating in celebration of Emily & Lauren's birthdays! Yes, I'd like to donate! We are very pleased to announce that the recipient of our 2017 Lauren and Emily Failla Foundation Scholarship is Laura Boysen. Laura is an energetic, extremely likeable young woman who will soon graduate from Morristown High School to pursue a degree in Elementary Education. She has been a very involved volunteer for several years, and we couldn't be more proud to award her this scholarship. Congratulations, Laura! The LEFF is proud to announce our 2016 Lauren and Emily Failla Foundation Scholarship recipient, Justin Sontupe. Justin is a terrific, well-respected young man who will soon be graduating from Morristown High School. He truly exhibits the integrity, kindness and strength of character we are looking for in a candidate, and we wish him the very best at Rutgers! Congrats to Casey O'Brian, our 2015 scholarship recipient! 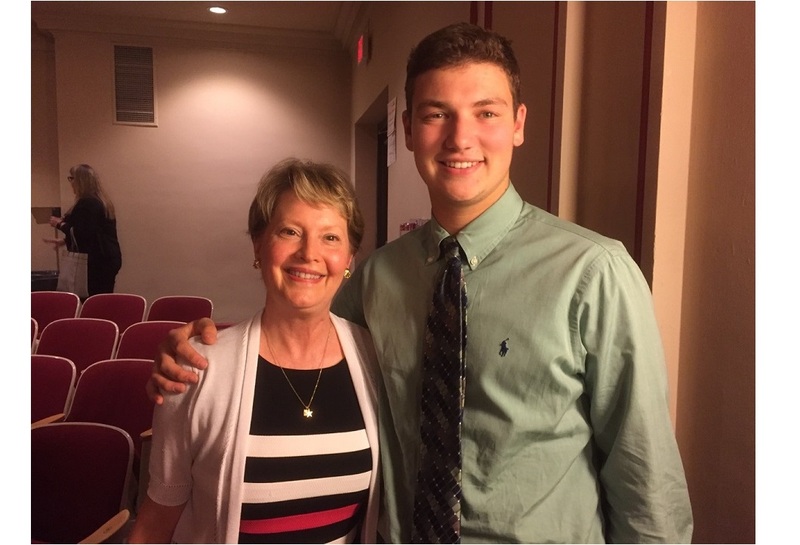 Casey was selected from several inspiring applications and was awarded this scholarship at the Senior Awards Ceremony on May 31st, 2015. Casey is a wonderful young woman who will be heading to Florida Southern College, majoring in graphic design and business. She has been described as being "totally dependable, highly motivated, always smiling, sensitive to others, and one who goes above and beyond what is expected." to Casey, best of luck in Florida! Our 2014 recipient is Mary Kate Effner, a terrific young woman who has volunteered in her church, at school, and in the community. In fact, she helped put up posters around town for our May 12 event and was one of the high school volunteers that evening. Her plans after graduation include attending college in Scotland at the University of Edinburgh! a hand whenever and wherever needed. In addition, the student has maintained good grades while running his own landscaping business.